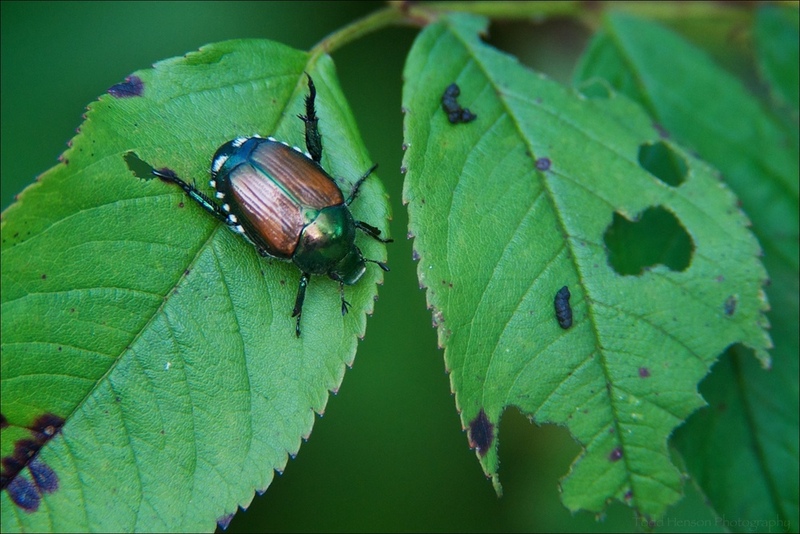 The Japanese Beetle is metallic green with two large metallic brown patches on its back. It has a series of white patches of hair around the back and sides. It is native to Japan and northern China but was introduced to North America and is now spreading. It can be found east of the Mississippi and in parts of Canada. They feed voraciously on plant leaves, eating all the green and leaving nothing but skeletal remains.